Parker & Sons was launched in 1955 by Mr. Parker. In 1957 the Kejriwal family bought Parker & Sons and entered the Commercial Printing industry and built Parksons into a reputed company. Their factory was set up in Lalbaug, Mumbai. 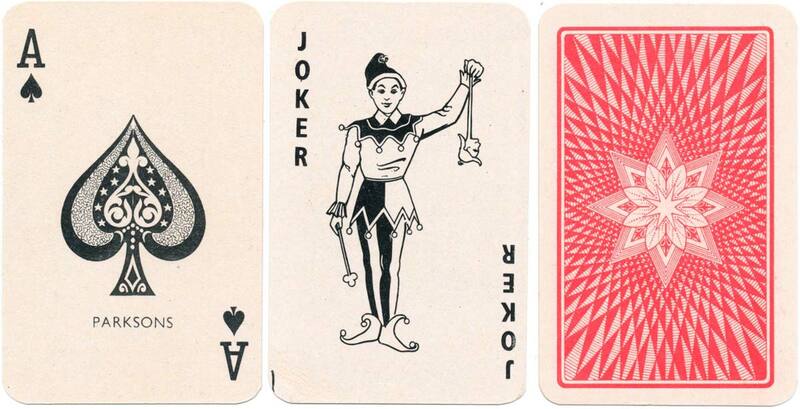 In 1959 they diversified into playing cards which ultimately became the main focus of the business. In 1977 an additional plant was set up in Andheri (Mumbai suburb), and in 1994 a new plant was set up in Daman (Union Territory) and all processes shifted there. In 2010 Cartamundi formed a joint venture with Parksons Games and Sports to create Parksons Cartamundi Pvt. Ltd. 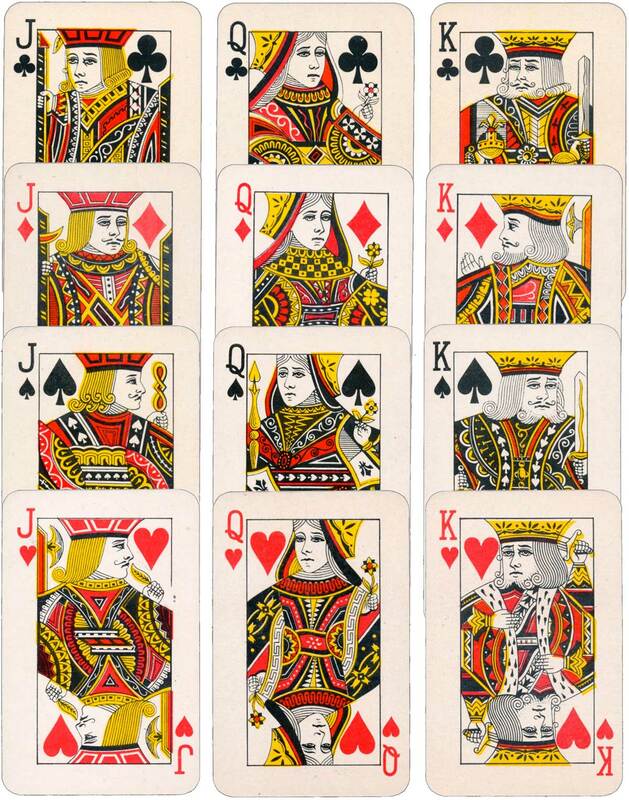 Above: Parksons Bridge Poker No.444 with standard International courts. Images courtesy Matt Probert. 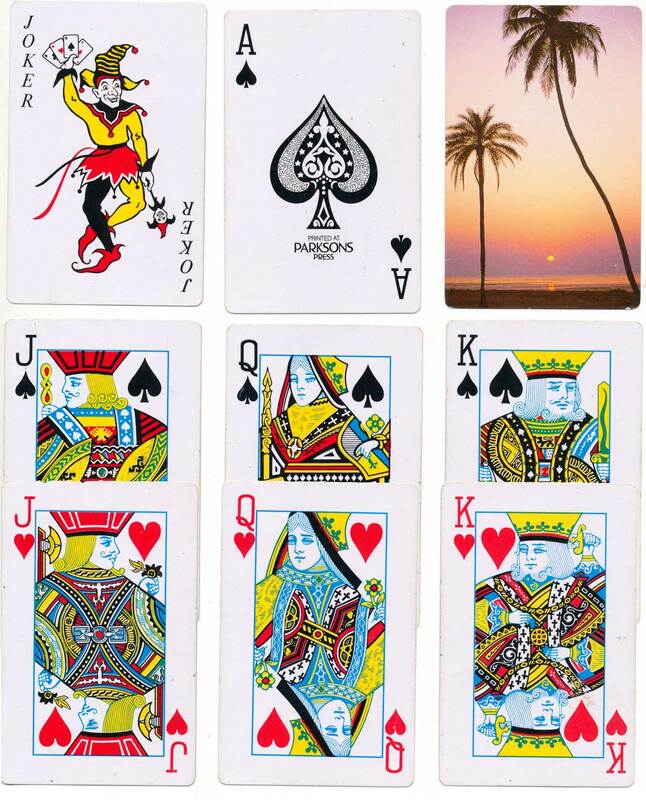 Above: deck for Sunidhi Games and Sports, printed at the Parkinsons Press, 2001. Images courtesy Matt Probert. Parksons Cartamundi invest in a new joint-venture factory in Pardi / India in 2012.